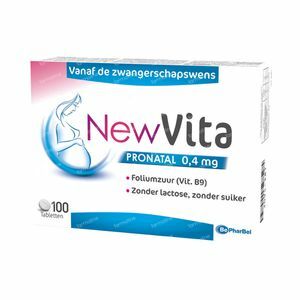 Newvita Pronatal 0,4 mg 100 tablets order online. 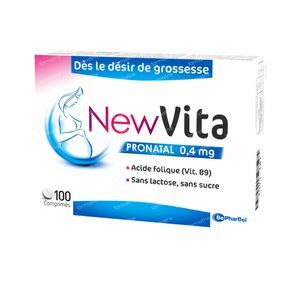 NEWVITA 0.4 mg is a food supplement containing folic acid, also known as vitamin B9 or vitamin M.
Folic acid plays a very significant role in cell division. As such, it contributes to good growth and development of babies. It is important for a woman wishing to have a child to build up reserves of folic acid as soon as the desire for pregnancy arises, but also throughout the pregnancy. This folic acid reserve can be diminished through the use of a contraceptive pill over several years. 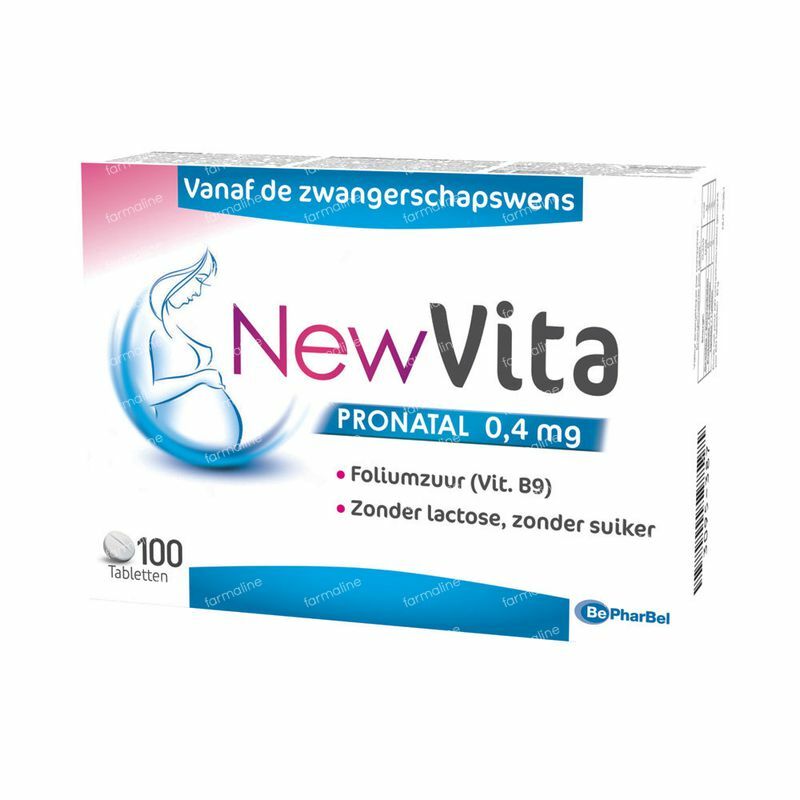 NEWVITA makes it possible to maintain a perfect psychological and physical balance in aged people suffering from a deficit in folic acid. The formulation of NEWVITA has undergone specific studies. It does not contain lactose and sugar and can be used by people who display intolerance to these two ingredients. 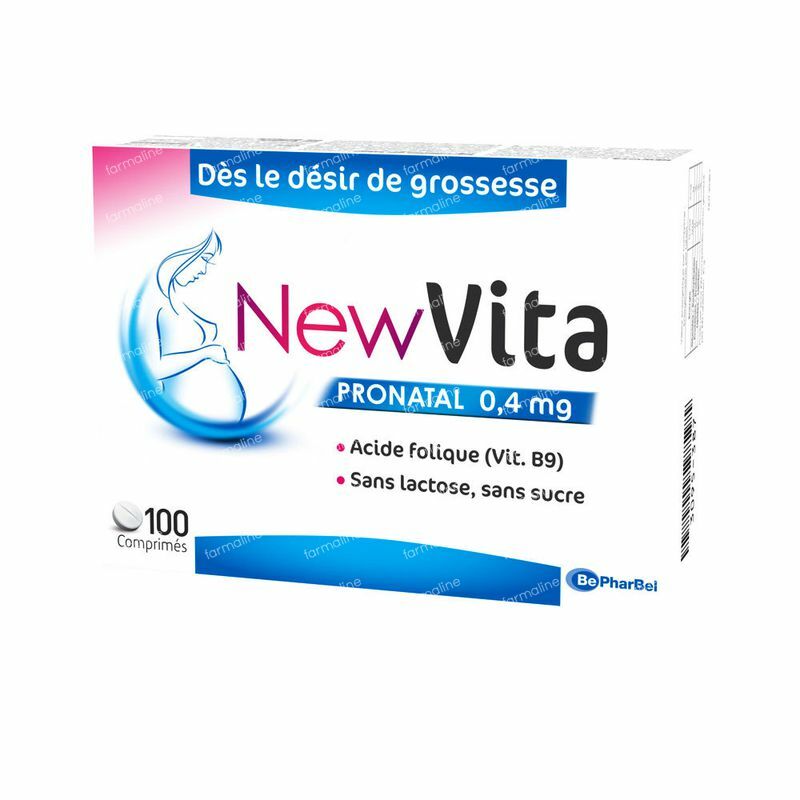 Furthermore, the folic acid benefits from ideal conditions of stability due to the fact that NEWVITA does not contain lactose. Women who wish to have a child. Use throughout pregnancy and breastfeeding. The psychological balance of aged people. It is recommended to take one tablet of NEWVITA per day with water at meal times. For women wishing to have a child, it is recommended to take NEWVITA for at least 8 weeks before conceiving, as soon as you stop taking your contraceptive pill, throughout pregnancy and also during the period during which you breastfeed. NEWVITA is not a replacement for a balanced and varied diet. It is simply an essential supplement to your daily diet. Folic acid 400 mcg (i.e. 200% of the daily recommended dose), Cellulose, Mannitol, Hydrogenated cotton seed oil, Colloidal silica, Magnesium stearate. Store at room temperature between 15°C and 25°C, in a dry place away from sources of moisture. See the packaging for the expiry date.